Charles Horton was born in the Town of Colchester in Delaware County, his family moved to Liberty, (Liberty Falls as it was called) New York. Mr. Horton bought property with Charles Knapp in 1848 from the Griswold Estate and a year later built a tannery in Hortonville. With a succession of business partners including Isaac Clements and Thomas Casey, the tannery showed excellent profits during the Civil War period. During the Civil War, 5 counties produced over 7 million dollars worth of finished leather. With the war, the need for boots, harnesses, cartridge cases, saddles and belts arose. The county was stripped of its magnificent hemlock forests to mill the demand. It took a full cord of bark, anywhere from 3 to 10 trees to tan 10 hides. The tannery was located on County Route 121 (North Branch Road) on the right hand side going in the direction of North Branch, alongside the North Branch Creek. Charles Horton also owned alot of land in Hortonville including the land where the school, Presbyterian Church and Hortonville cemetery are located. Across the street from the tannery was his farm and also a general store he built in 1850. In 1867, Henry Gardner bought the farm, the tannery and the general store. When Henry Gardner owned the tannery it annually consumed about 1000 cords of bark and tanned about 10,000 hides. The hamlet derived it's name from Charles Horton in 1869, splitting from Cochecton, the "Town of Delaware" was founded and the first town meeting was held at the Hortonville home of Charles Fisher in March of 1869. Charles and Betsey Horton, Isaac and Elizabeth Clements and Thomas and Mary Casey sold 1/4 acre parcel of land for $1.00, part of Lot 29 Division 59 of the Great Lot number one of the Hardenburgh Patent to Christian Wagoner, Frederick Gottschalk and Henry Grebe, Trustees of the Free German Presbyterian Church. 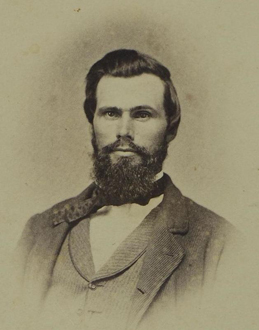 Charles Horton and his siblings were a "Family of Tanners". Charles led the way, and in 1845, with his brother-in-law, Nathanial Gildersleve, entered on the tanning business in Liberty Falls and in 1848 built the tannery in Hortonville. Charles went on to build a third tannery in Narrowsburg in 1854 with Webb Horton. In 1857, Charles along with Geo. F. Knapp and Isaac Gildersleve bought the Stevensville Tannery. Charles and O.B. Grant established a tannery in Ridgeway, Elk County, Pa. All his tanneries ran successfully until the bark ran out. Charles Horton moved to Middletown, New York where he died of heart desease in 1896. Descendants of the Horton family still live in Middletown, New York. Some of the Hortons fortunes which were made during the Civil War years, when Sullivan County tanning was at its peak were lost during the 1870 depression. But the Webb Horton Memorial Church and the Elizabeth Horton Memorial Hospital of Middletown were erected by a large share of money given by the heirs of the Horton family due to their vast holdings in county tanneries.